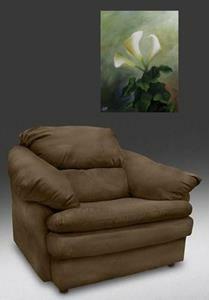 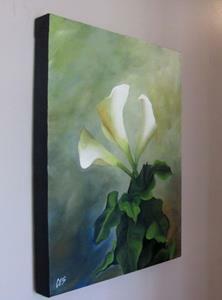 I have painted many calla lily compositions - some of them abstract, others more on the realism side. This is the first time I painted them with foliage. 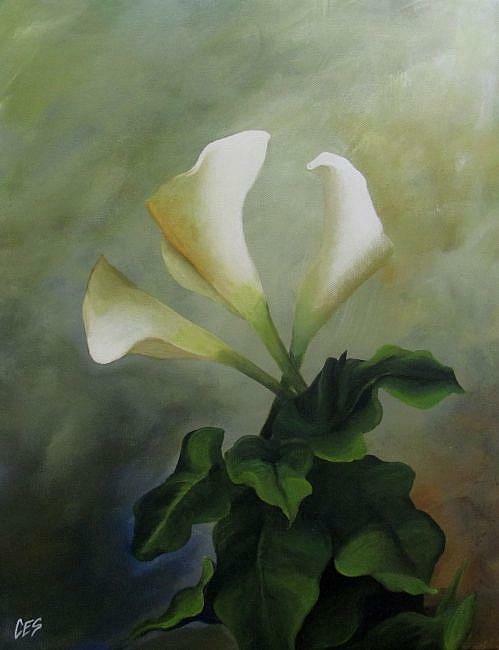 I love how the background seems to mingle around the leaves in certain areas; drawing your eye in and making the foliage just as important in the composition as the flowers.